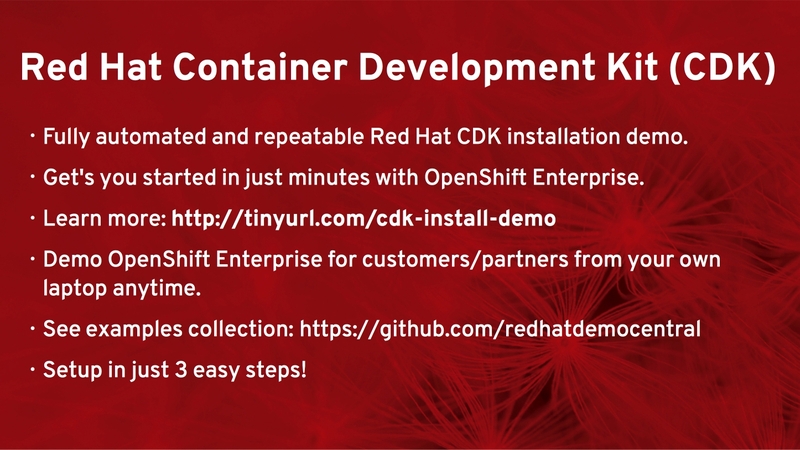 The Red Hat CDK has all the Cloud tooling you need for your local OSX, Linux or Windows environment and it has a few containers pre-configured for you to explore. Last week this project released version 2.2, so we updated the automated installation project called the Container Development Kit Install Demo. 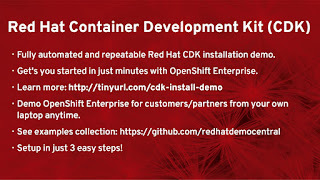 This article will get you started in just minutes with the entire Red Hat CDK installed locally on your personal machine to provide you with your very own personal private PaaS. My testing on a simple macbook pro resulted in startup times exceeding those of the previous release and I consistently was able to get the OpenShift Enterprise virtual image starting in just 1:30 (one minute and 30 seconds)! 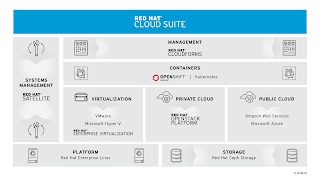 OpenShift - a containerized version of OpenShift can be started that can be accesses through a Web console in your browser or via the OpenShift command line tools. Explore your very own private PaaS developer experience with this container. the easy installation process in just a few minutes. Not only that, you can do it in just four steps, I promise! It is really that easy with the fully automated Container Development Kit Install Demo project put together to make the process both fool proof and repeatable. So what are the three steps you ask? Add products as needed, free downloads available here. 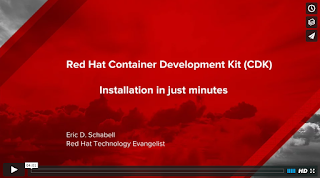 Be sure to visit the Red Hat Demo Central collection of example applications and projects to get you started containerizing various JBoss technologies.